At Portella, we specialize in the design, manufacture and supply of individually engineered, high-quality steel windows. Our black metal windows are made from 100% recyclable, durable steel to boost the eco-credentials of your project. As well as market-leading sustainability, they also exceed all industry standards, providing a unique, luxurious and high-end finish to any development or renovation project. We produce quality steel window solutions for awnings, French casement and fixed windows. As well as our standard black steel windows, we also offer a number of custom paint options to create a distinctive look and feel. We guarantee our work for every project and each Portella window carries an exceptional warranty that goes way beyond the industry standard to protect the longevity of your investment. With narrow sightlines and custom shapes, our window configurations can fit virtually any application to meet the demands of discerning homeowners and businesses alike. Creating custom size steel windows allows us to work directly with builders and architects and meet the exact specifications of their projects. Most importantly, our state-of-the-art manufacturing processes and factory glazing allows us to keep every process in-house. That eliminates subcontracting and mark-ups so we can deliver the finest quality steel windows at the best possible price. Thermally broken – Our thermally broken windows exceed all energy efficiency requirements. We are the only steel window manufacturer to include a thermally-bonded zinc galvanizing corrosion resistant coating. That ensures your new windows last a lifetime even in the harshest climatic conditions. Classic – The classic range of custom steel windows is the perfect complement to contemporary architecture, featuring slender lines and minimalist profiles that let light flood into your home. 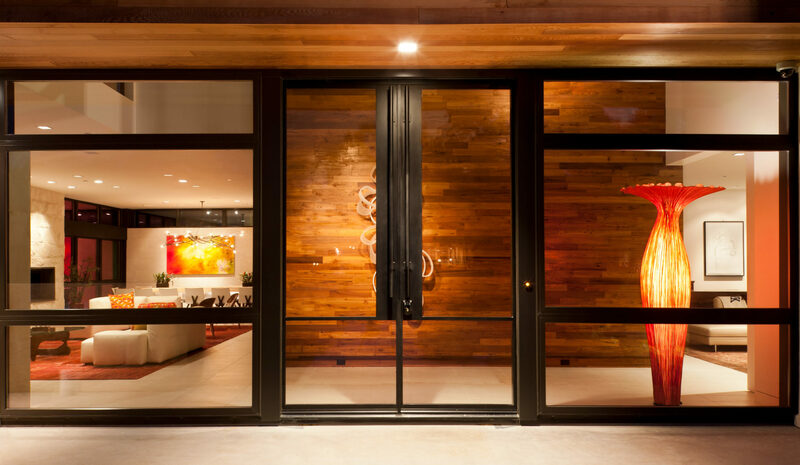 Storefront exterior – Create a striking storefront with steel windows that stop customers in their tracks. The superior strength and durability of rolled steel makes it ideally suited to demanding commercial environments and boutique stores. Storefront interior – Transform office spaces with the clean lines and minimalist detailing of our sleek interior windows. Natural strength, durability and a timeless, fresh appeal make our designs perfectly suited to modern commercial environments. 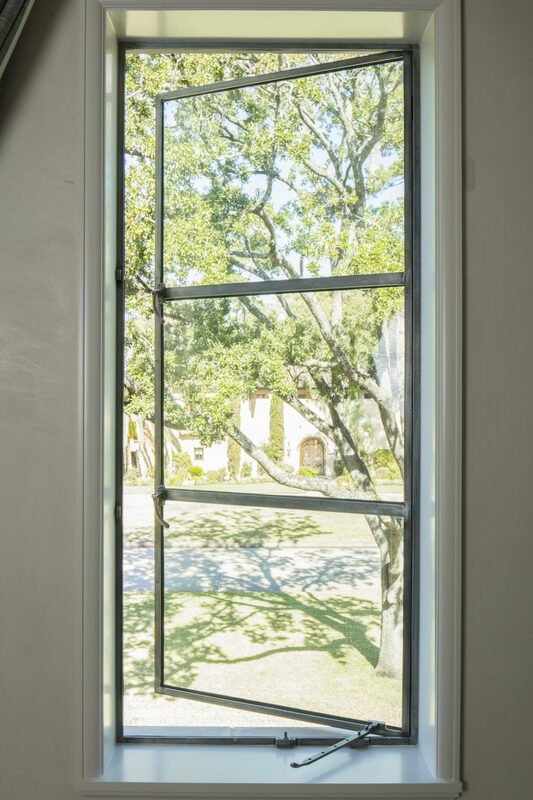 Whatever you choose, each of our custom metal windows has its own characteristics to create a distinctive look and feel, from modern and minimalist to historic and traditional. They also boast superior climate durability to withstand the most demanding conditions. Every one of our custom metal windows is made to your exact specifications. The first part of the process is to contact our team. Once we’ve answered any questions you may have, we will assign you a personal project manager. They’ll ask you what you’re looking for, your location and overall size of the steel windows you require. We’ll then be able to determine which Portella product will work best in your climate while meeting your state’s regulations. The next step is to provide a quote. Once the quote is approved, we will create drawings and specifications for every element of your project. Although manufacturing lead times depend on the scope of your project, it’ll generally take between 16 and 19 weeks to create your custom steel windows. Sustainability – Our windows are 100% recyclable so there’s zero waste. Aesthetics – The narrow sightlines and minimalistic nature of our windows create a stunning visual appeal. Quality – Master blacksmiths, state-of-the-art manufacturing facilities and individually assigned design specialists ensure every project is a stunning success. Price – Every stage of the process is retained in-house. That avoids any additional markup and keeps the cost of your steel windows down. Custom-fit – We produce custom steel window sizes, shapes and configurations to suit virtually any application. Superior climate durability – Portella metal windows are designed specifically to meet the climatic demands of your state. Energy efficiency – All windows are NFRC-rated and exceed all energy efficiency requirements. Get in touch to request a quote and get your project moving.